Students explore with movement and creativity to make words come alive! Using sight word flashcards, students use their bodies to spell out simple sight words. The use of their creativity and imaginations is encouraged so students can also identify how to make their bodies long, round, wide, and narrow. 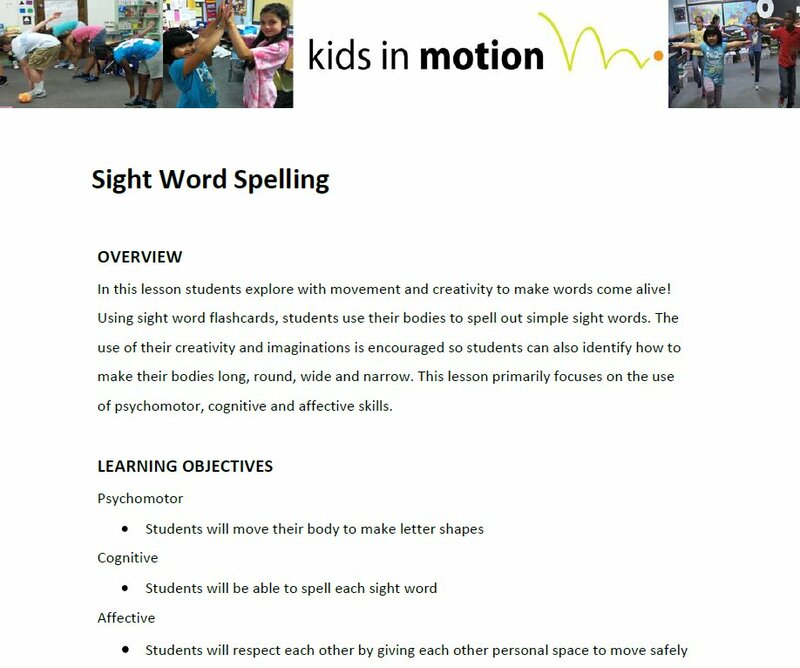 This lesson primarily focuses on the use of psychomotor, cognitive, and affective skills.